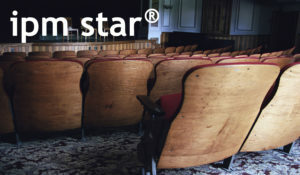 Kelso School District of Kelso, Washington has earned IPM STAR certification after passing a rigorous, 37-point inspection conducted by the independent 501(c)3 nonprofit IPM Institute of North America. With over 700 staff members and close to 5000 students working and learning in one high school, two middle schools and seven elementary schools, Kelso takes responsible, sustainable pest management practices seriously. Kelso’s IPM program began in 2011 after school staff became aware of the benefits of an integrated approach from monthly Environmental Protection Agency webinars, Washington State University classes, and conferences held by the Washington Association of Maintenance and Operations Administrators (WAMOA). In particular, Kelso staff became concerned about the potential impact of poor Indoor Air Quality (IAQ) on students’ learning processes. “When teachers and students come into a classroom, they shouldn’t have to worry whether it’s clean, safe or healthy for learning,” says Gary Schimmel, IPM Coordinator and Supervisor of Maintenance and Operations for Kelso. Indoor air quality can be negatively affected by the presence of pest allergens and pesticides, which can exacerbate allergies and asthma and lead to poor health outcomes for students and staff. “We’re talking about getting people to change. The IAQ and IPM stuff are so related. IPM helps reduce classroom clutter which also improves IAQ,” says Gary Spears, Operations Manager at Kelso. Kelso developed its IPM program over a number of years. The aim initially was to end the use of spray-applied pesticides and to better prevent pest problems. “Pest-sighting logs in particular have given us a big advantage in ensuring pest complaints are reported and addressed,” says Gary Schimmell. The program has since expanded to include regularly scheduled pest inspections, added structural modifications to improve pest-proofing and pest exclusion, and improved training for custodial and maintenance staff. “One of the things that is very important is training for the boots on the ground. If it’s the same person, with the same agenda, with the same PowerPoints [doing the training], it can get old. So we look for different opportunities to cover the same material,” says Gary Schimmel. The staff at Kelso have also shared IPM know-how with neighboring districts and have posted their detailed IPM plan and SDS info on Kelso’s web site to communicate as widely as possible about their pest management practices with students, parents and staff. 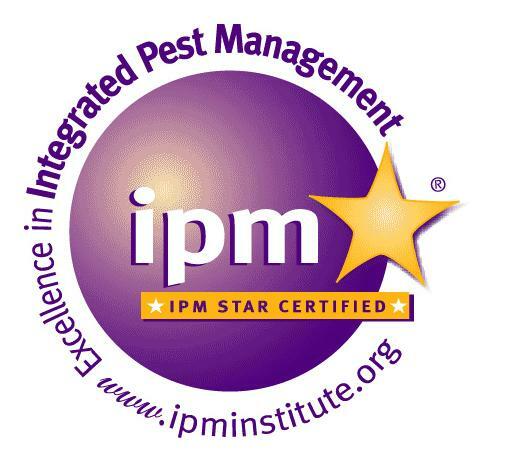 IPM STAR Certification is presented in partnership with the US Environmental Protection Agency’s Pesticide Environmental Stewardship Program. Created and administered by the nonprofit IPM Institute of North America, the program has been available since 2003 for school districts and childcare facilities in North America. Its evaluation standards are publicly available online.